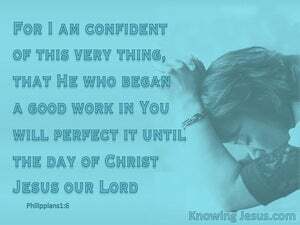 Being confident of this same thing, that he who began a good work in you will complete it until the day of Christ Jesus. I am confident of this very thing, that God, who began something good among you, will complete it until the day of Jesus Christ's [return]. 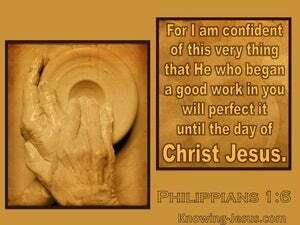 For I am confident of this, that he who began a good work in you will carry it on to completion until the day of Christ Jesus. 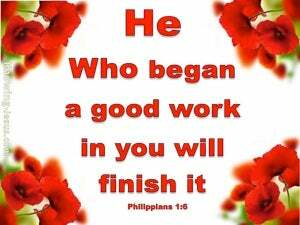 For I am certain that he who has begun the good work in you will finish it for the Day of Jesus Christ. 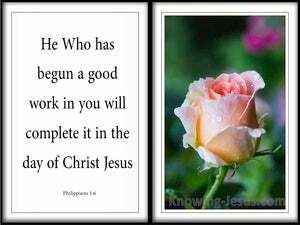 of this I am confident, that he who has begun the good work in you will go on completing it until the day of Jesus Christ. 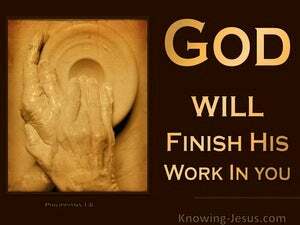 Of this I am fully persuaded, that He who has begun a good work in you will go on completing it until the day of Jesus Christ. 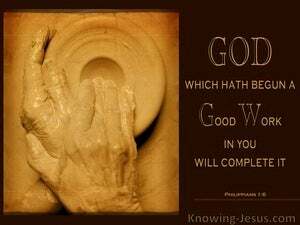 being confident of this very thing, that he who began a good work in you will complete it until the day of Christ Jesus. 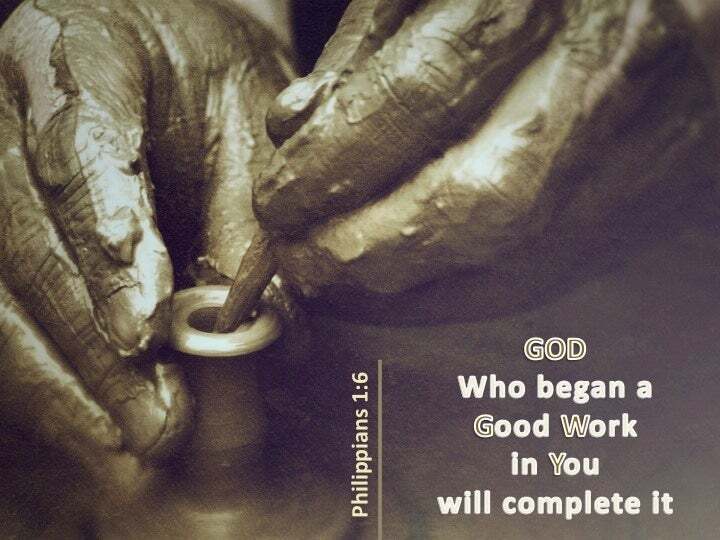 For of this I am confident, that he who began a good work in you will complete it in readiness for the Day of Jesus Christ. 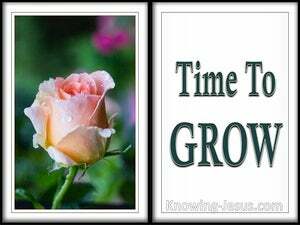 For I am certain of this very thing, that He who began the good work in you will go on until the day of Jesus Christ to complete it. 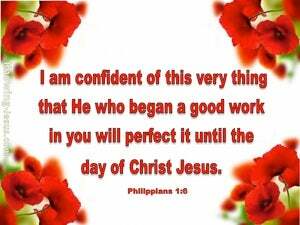 being confident of this, that He who hath begun a good work in you will continue to perfect it till the day of Jesus Christ. 5 For your fellowship in the gospel from the first day until now; 6 Being confident of this very thing, that he which hath begun a good work in you will perform it until the day of Jesus Christ: 7 Even as it is meet for me to think this of you all, because I have you in my heart; inasmuch as both in my bonds, and in the defence and confirmation of the gospel, ye all are partakers of my grace.